Every love story should start with something this sweet. 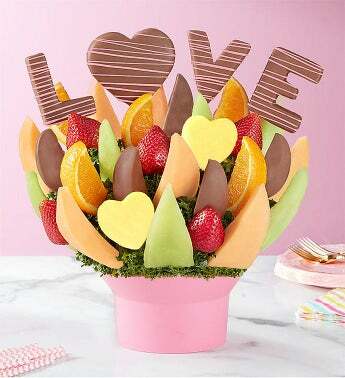 Juicy letter-shaped pineapples carved to spell out L-O-V-E, surrounded by a mix of chocolaty dipped apple wedges, plump strawberries, mouthwatering melon and more. Make it extra special by indulging them with every letter dipped & drizzled! 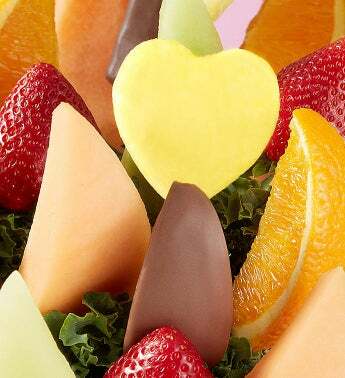 Share this tempting fruit creation with your special someone and write your own happy ending.